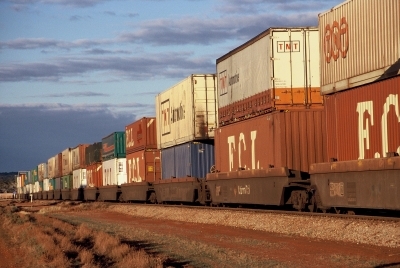 The Victoria Transport Association’s (VTA) Industry Think Tank has held its first meeting to set priorities for the freight sector. VTA president Paul Freestone said: “Whilst there is no silver bullet, it is the little things that add up. As an industry, we recognise the need to raise our profile in advocating the case for change. The Industry Think Tank was established to provide a focus for the sector in generating ideas and actions that can immediately improve the sector. Revolving around the urban freight task, the meeting has suggested low-cost options including sequencing of traffic lights, re-marking of lanes, implementing clearways during peak hours and the introduction of high productivity vehicles. The meeting also brought up longer term issues such as completing the Melbourne road network, improving intermodal freight linkages and a prioritised list of infrastructure projects. VTA CEO and chairman of the Think Tank Philip Lovel said as the freight industry came to face an unprecedented challenge with cost increases, a collaborative approach was essential to find innovated solutions. “The cost of moving goods is going through the roof. In the past the freight sector could achieve efficiencies that meant the consumers were insulated. These opportunities have dried up, and the public is about to experience some real price increased because of these cost rises,” Mr Lovel said. Also proposed at the meeting were a number of trials and case studies to “give freight a go”, including after hours access trials to local businesses, a 24/7 taskforce to demonstrate the benefits of wider access, high productivity vehicle trials and a rail efficiencies summit to map an action strategy. “The Industry Think Tank will pursue these issues to achieve some immediate wins and to advocate future change,” Mr Lovel said.